Thank you to the fabulous Lara at Allen and Unwin. As a rarity in most young adult books, were you conscious of including a blended family that covers adoption? How did you come up with the concept of including Dominic and Kaide as different ethnicities, and then placing them in India? I wanted Dom to really represent that teenage feeling of feeling completely out of place in his skin, but I wanted it to be tangible too. What could feel more out of place than being adopted, bi-racial and living in a completely different culture? I also grew up in the third world and there is a deep melancholy that comes with seeing people in need all the time. Some people can’t handle it – like Dom, and other people just see the beauty and hope no matter how dark the surface may seem – like Kaide. Ive seen both those reactions in my own family and I wanted to explore that. Afterworld is woven with a rich history of mythology, religion and also delves into misconceptions about what comes after death. How did the research come about to create Necropolis? I have studied ancient history for years and in particular religion in Egypt and Rome. I noticed in all my reading that most cultures had very powerful beliefs that something would happen after death and there were incredible similarities between the groups even though they existed thousand of years and continents apart. I think there is a lot of power in belief – so I explored what all that belief might actually create if it was all blended. The Necropolis is part Egyptian - they had a literal area of the city devoted to mummification, tomb making and funeral rights. It is also part Purgatory – a place to work out confusions and past sins. This idea crops up in many belief systems. It was also inspired by “the waiting place” in Dr. Seuss’ “Oh The Places You’ll Go” (one of my all time favourite books). Dominic comes across as being an old soul, in disguise as a fifteen year old boy and not your typical young adult hero. What was the inspiration behind his character? I teach teenagers all the time and I see “Dom” in so many of them. There are a lot of very intelligent, serious, deep thinking kids who are stuck in a culture that expects teenagers to be fairly frivolous. It doesn’t suit all of them and they end up quite depressed. In the past, teenagers would already be working, fighting, having families… and now we expect them to sit at desks until they are eighteen, and I think for some this feels like they are just marking time. They have the minds and maturity to act and change things and the older generation isn’t encouraging it. I’m exploring that kind of kid with Dom. You've blended the popular figures of God into the character of the Awe, do you believe in a higher power yourself? I do. But I don’t know that what I believe in quite fits with the description that most religions use for God, so I have my own personal version of the concept, probably not a very traditional one. I think everyone who chooses to believe will have a different idea of who and what that power is. I loved the idea of minutes being a form of currency, considering most of us are time poor. What inspired the concept? This felt really literal to me. I started writing Afterworld when my son Finnian was just a few months old. Finding time to write when he was fed and asleep was an actual physical battle. Some of the book was written at the rate of one sentence a day – so time felt very important to me, I really liked the idea of it being valued and of being able to earn it. And finally, will we see a second book at anytime, following the characters on the journey to where they all are now? Well, that’s not what I’m working on right now, but I certainly wouldn’t rule it out. I’ve had a lot of people ask me to please tell the back story of Eduardo and Maya, and I had someone ask me to write another book just so Deora could get what she deserves! We’ll see… I’ve got a lot more time lately. Growing up in Papua New Guinea gave Lynnette Lounsbury an appreciation of the mythical and the dangerous. Her earliest memories are filled with earthquakes, the smell of sulfur and stories about magic. She couldn't decide whether to be a writer, an archaeologist or a fighter so she lectures in creative writing and ancient history and teaches Taekwondo. 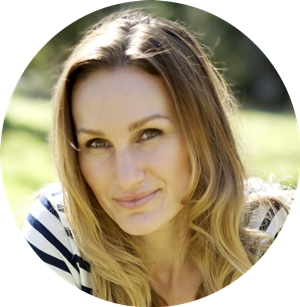 She has explored her passion for storytelling through travel articles, bridal magazine editorials and short stories and she is editor of the youth travel website Ytraveler.com. Every year Lynnette volunteers in the South Pacific for an Ausaid program that gives Islanders the chance to study writing and drama. But perhaps her greatest adventure is closer to home ? managing life with a husband who makes films and two boys who make trouble. They provide the inspiration and exasperation needed to get words onto paper. You can connect with Lynnette via Facebook. Thank you to Lynnette and Allen and Unwin. Win a copy of Afterworld thanks to Allen and Unwin. Open to Australian residents only. I like the cover of this book! It's imposing, I don't really know a better word to describe it. It almost makes you feel small. Great interview :). I'll check out your review of this book next! Couldn't agree more Lola, makes you feel really insignificant, the same feeling as being thrust into the Afterworld that's nothing as you suspect. Thanks for checking it out Lola. I'll know it's you if you pop up. 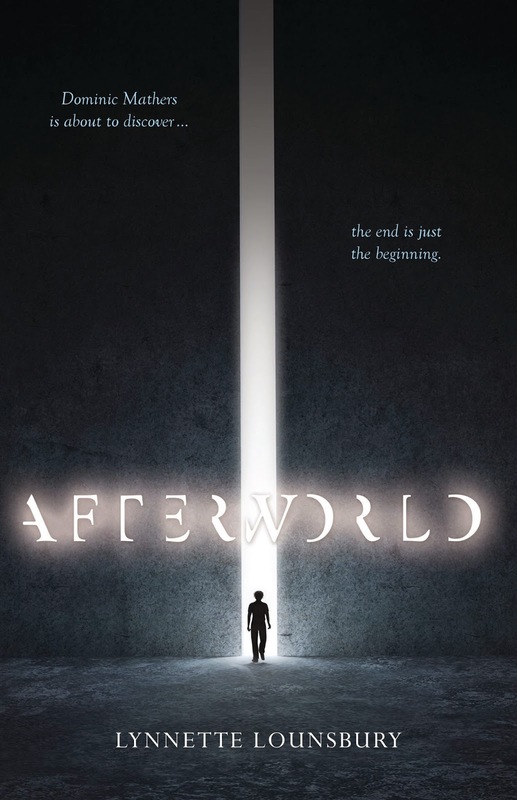 I've actually never thought much about it Rochelle until I read Afterworld. Whatever waits for us beyond this life, lets hope it's better than what Dom has to go through. I can image that most authors were probably inspired somewhere along the way by Dr Seuss, I know personally I loved the books when I was young, It got some many of us into reading. Wow, how often do you get to see your brother? Thanks for stopping by Jeann. I think nowadays there is so much focus on teens being out of control, parties being gate crashed on the news, binge drinking, but they're probably only a very small percentage. Kids are getting smarter, Lynnette said it perfectly. Deep thinkers. Thank goodness too, some of these kids will be running our country one day. Thanks for the chance, Kelly! I love how much thought and research went into the world building and characters of this book!